The new Swydo interface is launched last Friday. 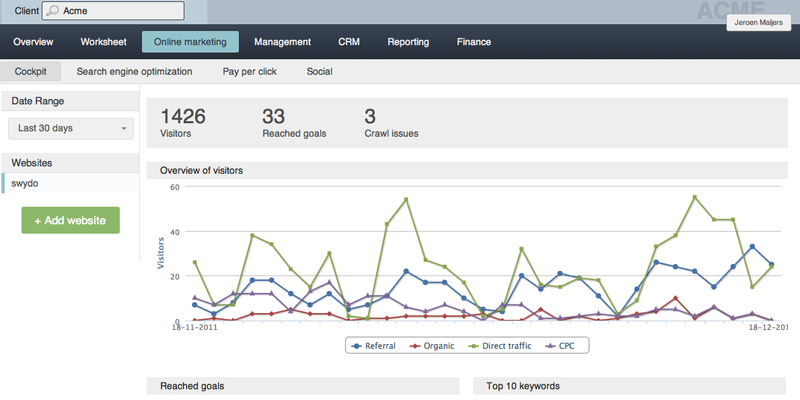 We completely redesigned the User interface with a focus on Task management and Online marketing. We are very happy with the result.The task management is now concentrated on the Worksheet Tab. 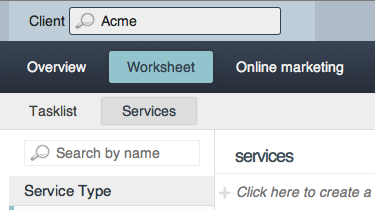 On the worksheet tab you can create new services for clients. A service is a container for tasks, like Adwords management or SEO management and have the form of a Project or a Subscription. So tasks should be under the umbrella of a service to make fully use of all the features Swydo has. You can control the progress of services on the Management Tab. There you find progress bars for services and for consultants. See the tasks you have been working on, see the hours you spent. 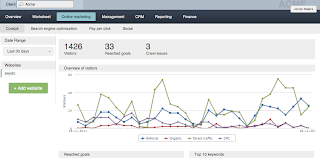 The fully redesigned Online Marketing section gives a comprehensive overview of the online marketing metrics you need. 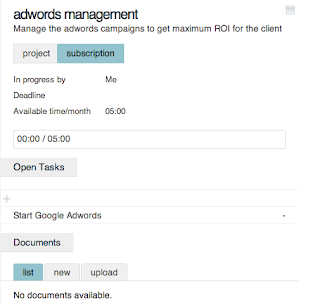 We have an integration with Google Analytics and Webmaster tools and Adwords integration will be live this week. Hope you really like the new interface and features. please give u your feedback at support.swydo.com.